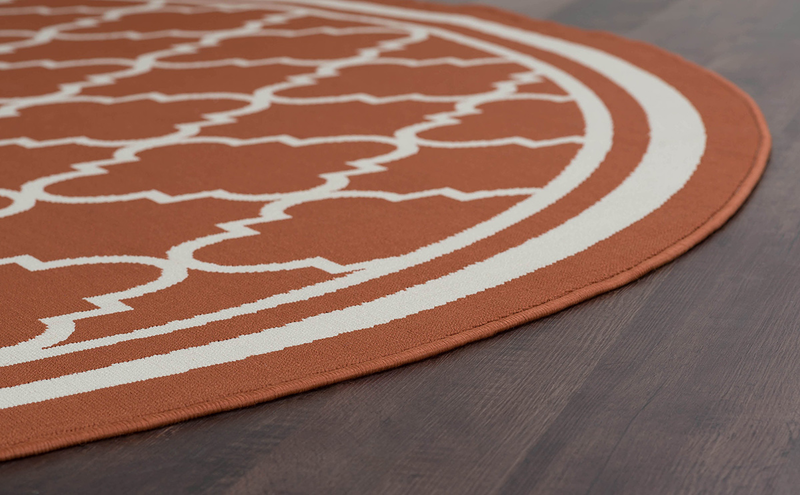 Create a oceanside atmosphere in your patio with the Casablanca Terra Cotta Indoor/Outdoor Rug - 8 Ft. Round. 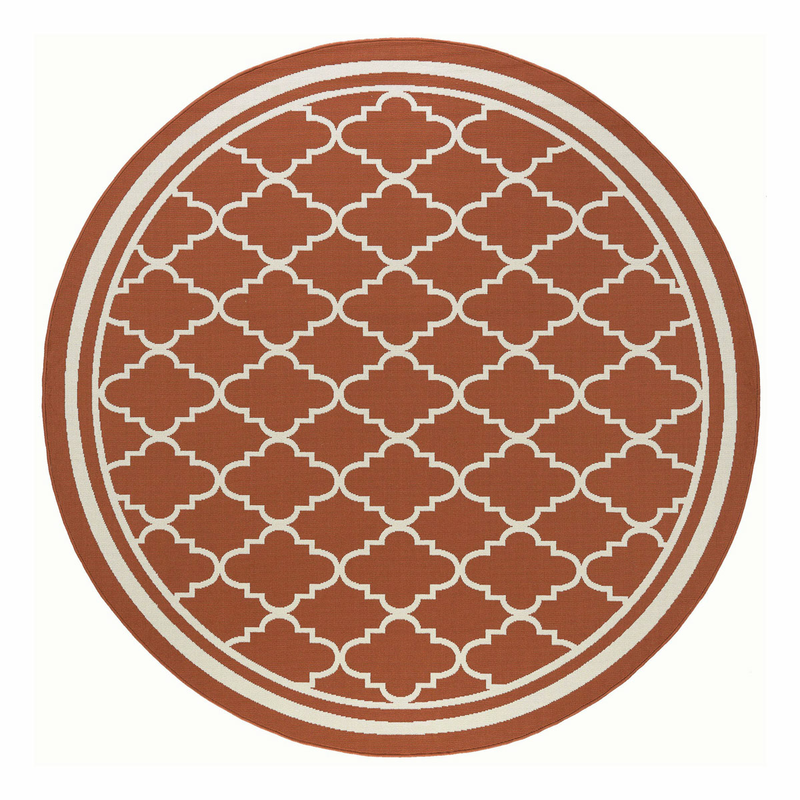 This indoor/outdoor area rug features a striking terra cotta and cream Moroccan tile pattern for defining style.